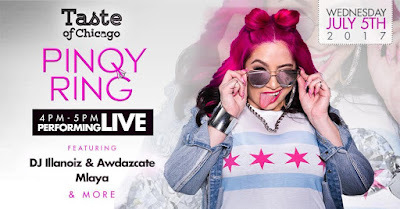 Pinqy Ring will be performing at the Taste of Chicago on Wednesday, July 5 from 4-5pm. for R and B/Hip Hop Day at Taste of Chicago - Bud Light Stage. Check out Pinqy Ring’s New Video "Phoenix."